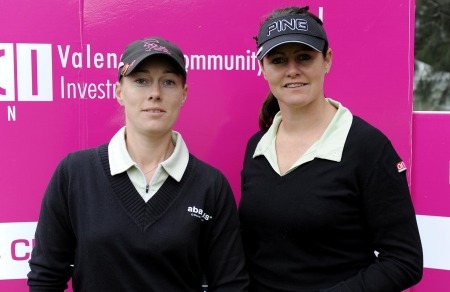 Galway born Alison Walshe could be Europe’s secret weapon in the 2011 Solheim Cup at Killeen Castle. 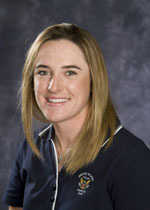 The Boston based star, 25, won six points out of six for the Americans in last year’s Curtis Cup rout of Mary McKenna’s Great Britain and Ireland side. Walshe said: “In the Curtis Cup, you just have to be an American citizen. But as far as I know, you can’t play for America in the Solheim Cup unless you were born in the US, so I would have to represent Europe. “My goal is to play on the LPGA full time but as far as teams goes, I don’t mind. I’d love to play for either team in the Solheim Cup. It would be an honour. All Walshe has to do is indicate on her Ladies European Tour membership form that she wants to declare for Europe in the Solheim Cup race and skipper Alison Nicholas will have another Irish candidate for a place on the 12-strong team. Barring a change in the US Solheim Cup qualifying criteria, Walshe will never get the chance to play for the Americans in the biggest team event in women’s professional golf. And that means that she could be in for an Irish homecoming when the matches take place at Killeen Caslte in Co Meath from 23-25 September 2011. Her father John hails from Spiddal while her mother Mary is a native of Crossmolina in Co Mayo. She grew up in Tuam but moved to the Boston town of Westford when she was a child and carved out a stellar career in college career in Arizona before turning professional last year. She played on Duramed Futures Tour - the LPGA equivalent of the Challenge Tour - and finished ninth on the money list and third in the Rookie of the year standings. Her dream is to play full time on the LPGA Tour but while she failed to earn a full card at this year’s US Q-School she made it through the European school this week. She said: “I will find out how many starts I will get on the LPGA soon and I can always play in the Monday qualifiers as well. Walshe says she’ll definitely play in the Ladies Irish Open at Killeen Castle next July, which will give her a sneak preview of the 2011 Solheim Cup venue. If she finds form over the next two years, she could be back in Ireland for the first Solheim Cup match to be hosted here. Rebecca Coakley believes she has the game and the confidence to win on tour become the Ireland’s first Solheim Cup player at Killeen Castle in 2011. The 28-year old Carlow native has re-invented herself over the past two years and after three top 10s in her last four starts, she’s beginning to believe that she can make Alison Nicholas’s 12-strong side to face Michelle Wie and Co at the luxury Jack Nicklaus design near Dunsany in Co Meath. Ireland’s Solheim Cup hopefuls can expect no preferential treatment from European captain Alison Nicholas when she chooses her four wildcards for the 2011 matches at Killeen Castle. If an Irishwoman fails to make the side automatically, don’t hold your breath waiting for Nicholas to cowtow to home sentiment with a pity pick. 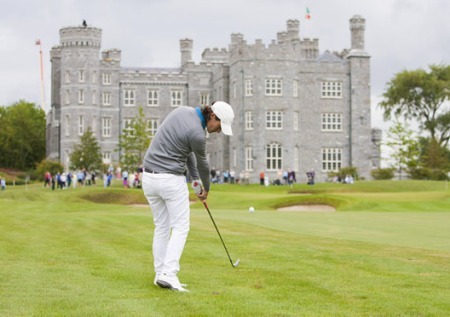 Ladies Irish Open boss Roddy Carr avoided some Chinese torture to deliver a world class field at Killeen Castle next month. The €400,000 curtain-raiser for September’s Solheim Cup could have been turned into a damp squib as it clashed with a $2 million US women’s tour event in China. But Chinese red tape has tied the Imperial Springs LPGA event up in knots and allowed Carr to sign up US stars Christina Kim, Angela Stanford and teenage sensation Lexi Thompson to accompany major winner Stacey Lewis at the Meath venue from August 5-7. Anne-Lise Caudal plays her approach to the 18th at Killeen Castle. Plicture by Tristan Jones.France’s Anne-Lise Caudal and American Alison Walshe led the field by one shot after the first round of the Ladies Irish Open supported by Fáilte Ireland at Killeen Castle, Dunsany, Co Meath. The pair carded six-under-par 66s to lie ahead of South Africa’s Lee-Anne Pace, Sweden’s Maria Hjorth and Spain’s Azahara Munoz Guijarro. Click here for scores.